The Center for Advanced Studies on the Foundations of Law and Finance (LawFin) is the first interdisciplinary economics and jurisprudential research group in Germany funded by the German Research Foundation (Deutsche Forschungsgemeinschaft (DFG)). It has started its work in November 2018 and is located in the House of Finance. 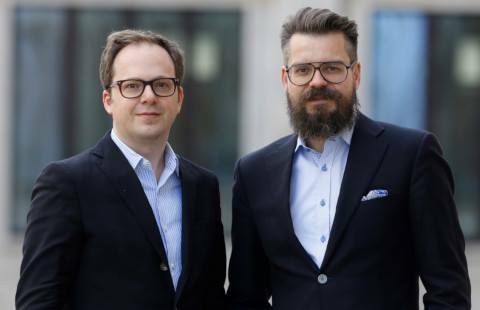 Rainer Haselmann and Tobias Tröger, both of Goethe University and LOEWE Center SAFE (Sustainable Architecture for Finance in Europe), lead the center. LawFin is a third party project of SAFE. LawFin seeks to enhance the understanding of how financial markets actually respond to the law as a dynamic and evolutionary system and how theoretical and empirical scholarship should optimally reflect these insights. The center aims at synthesizing the richness of comparative law and legal theory in describing what constitutes law in action with the methodological rigor of financial economics in gauging its social impact. The center brings together scholars from around the world from both fields and related disciplines who share the common view that intense interdisciplinary collaboration carries tremendous potential for widening the understanding of the interdependency of law and finance. The goal is not only a crossdisciplinary collaboration but also the development of actually discipline-integrating methods. The heart of the center is a Fellowship program that will bring both established and younger scientists working at leading international universities and research institutions to Frankfurt for longer stays. This will give the researchers working at the Goethe University and SAFE the opportunity of intensive exchange and mutual enrichment in a more internationalized, interdisciplinary environment.